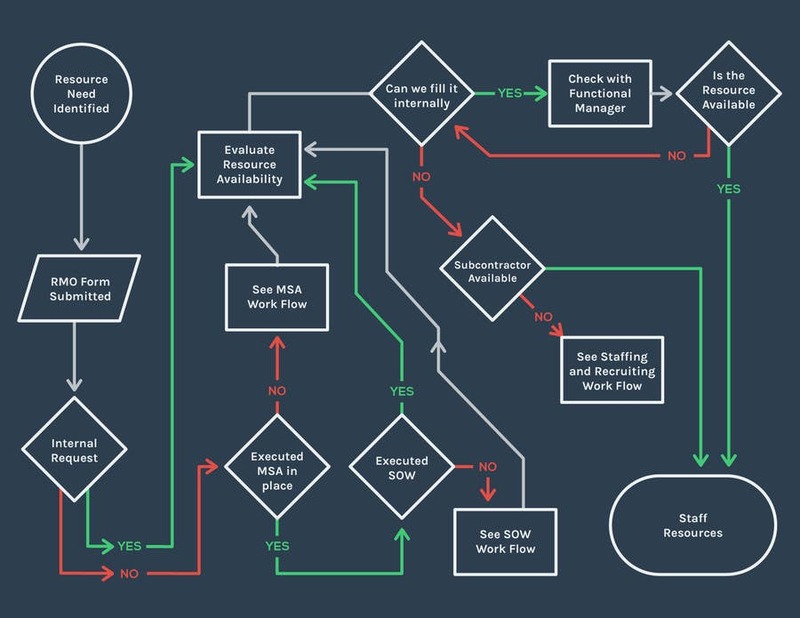 Hi there, this is my proposal for the redesigned work flow. This is the screen-friendly version -- it has a dark background as apposed to the print-friendly version which has a white background. The work flow is easy to follow, and uses colour coding to make it even easier to read. I have fit the entire work flow on a dingle US Letter sheet to make it easier to follow, distribute, and print. Let me know what you think! Best, Maurice.